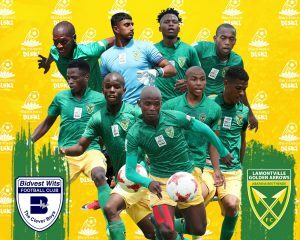 Our Diski boys play their last game of the season tomorrow as we face Bidvest Wits at King Zwelithini at 13:00. 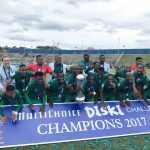 We have already made history by becoming the first team to win the Multichoice Diski twice after beating Orlando Pirates at the Makhulong Stadium last weekend. 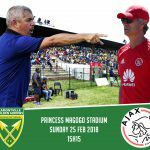 An important win because at that stage a number of teams were still in contention for the cup, including Pirates, Bloem Celtic and Maritzburg United. Tomorrows games will determine the runners up in the competition and is still an important game for us and the remaining teams. Wits will be playing for their pride. They are sitting 11th on the log and would like to finish of the season with a win. We also still have a lot to play for as we would like to finish the season on 35 points which is something that’s never been done before. We will get our crowning glory after the game, and are looking forward to receiving the trophy in KwaZulu Natal. If you have not got a ticket, you can still go to the offices at King Zwelithinin to pick one up today at 13:00 in order to gain entrance to the game tomorrow. The tickets are free and required to gain entrance to the stadium. Because its a festival, the game will be televised on SS4. And we will also be keeping you up to date on proceedings over Twitter and Facebook.